Bangladesh’s more than 160 million inhabitants share less electricity than Denmark’s 5.5 million, and frequent power cuts are the rule rather than the exception. Ramboll is supporting the country’s development by helping establish three major power plant units that will contribute to ensuring reliable electricity for the citizens. Bangladesh is among the eight most populous countries in the world, and while the GNP per citizen is small in the delta country, its development aspirations are big. The country needs a sufficient and reliable power supply, and the government has set the goal of providing electricity to all citizens by 2021. Therefore, the government has entered a contract with Orion Group for the establishment of one major power plant unit in Khulna and two units in Dhaka. - In several ways, this project is ground-breaking. It’s among the first large scale coal-fired power plants in Bangladesh, and for a country that lacks sufficiently alternative resources, and where half of the population is without electricity, utilising coal is a step in the right direction. Coal is still by far the cheapest fuel available, and Ramboll is involved to make sure that the plants are designed in the most efficient way possible, says Preben Messerschmidt, Project Director in Ramboll’s Power division. - Bangladesh is also known as the “Land of Rivers” and flooding during the monsoon season is disturbingly common. The plants will be built just a few metres above sea level, which requires special measures to be considered to avoid future flooding of the sites by raising the surface, dikes, layout arrangements, cooling water pump design and so on. 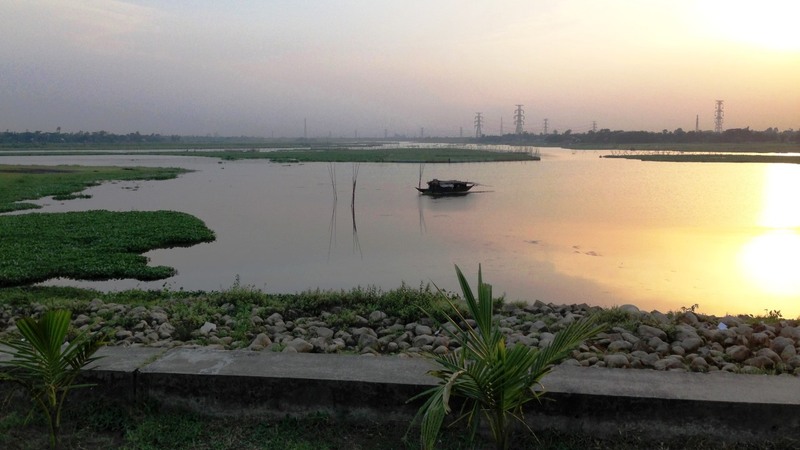 You will in Bangladesh also be facing an air-humidity level of 98% and an air temperature of 35°C - 40°C during summer, with a river water temperature reaching 28°C, which calls for unusual design data. - The entire project is bound by a tight schedule and limited budget. We’ve assisted the owner on implementation of the overall project including post-feasibility, tendering, design specifications and procurement. Keep in mind that the project owner is simultaneously constructing three major units that all each exceed the size of even Avedøreværket in Copenhagen and without any experience of their own to lean on. Therefore, we assist in any way possible drawing on our extensive knowledge of power plant designs from projects in Europe, says Preben Messerschmidt. As a developing country, Bangladesh is expected to benefit tremendously from the three projects as they will provide homes and industry with reliable energy. Alstom, GE and Doosan have been selected as the preferred Original Equipment Manufacturers (OEM) for boilers and steam turbine generators. Ramboll has assisted on the project since spring 2012, and the three power units are expected to be operational in 2018.